Drive unmatched user engagement by fantasy sports app development. Indian conglomerate Essel Group chose Vinfotech for Grinta – a season-long fantasy football app development. 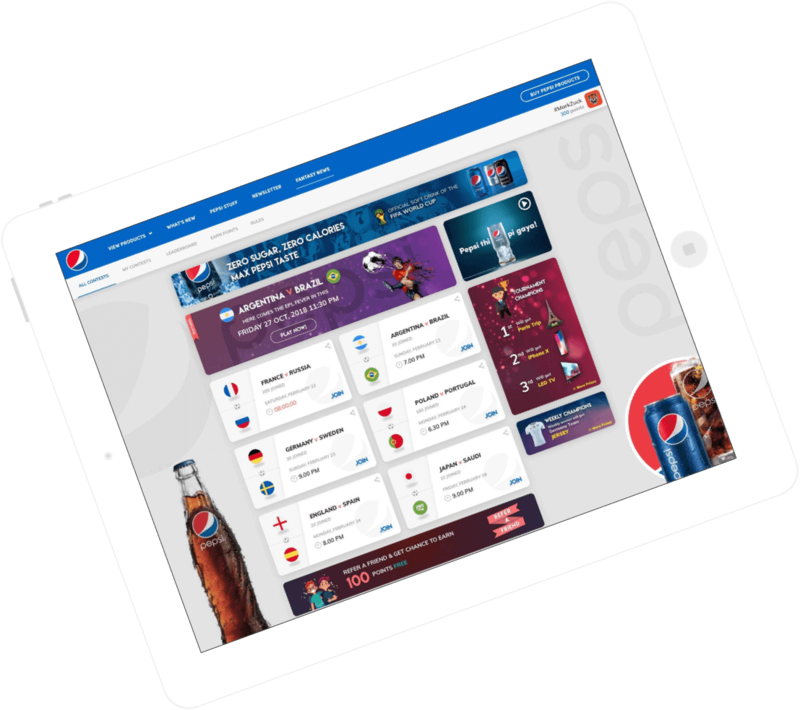 The app, targeting football fans from the Middle East, was massively successful due to its engaging games and easy interface. When noted online poker operator Sparton Poker decided to launch a business in India, the company hired Vinfotech. 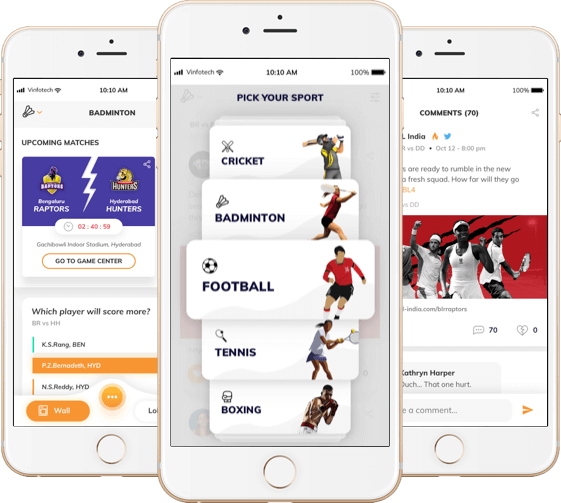 We created an interesting daily fantasy cricket website and mobile application that successfully drew millions of Indian cricket fans. Vinfotech is the technical partner of Fantasy Thai League. 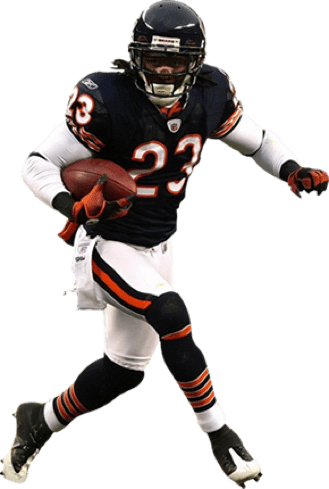 We are maintaining the entire product and its database for ensuring that the league continues to attract more fantasy sports players. Arabian Gulf League is one of the most loved sports brands in the Middle East. 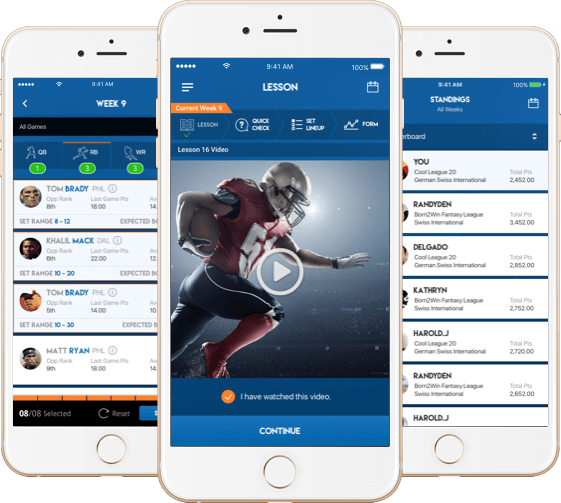 In order to echo better with evolving fans, AGL hired Vinfotech to create a season-long fantasy football website and mobile app. Robust and scalable web and mobile applications in which your users will fall in love with. 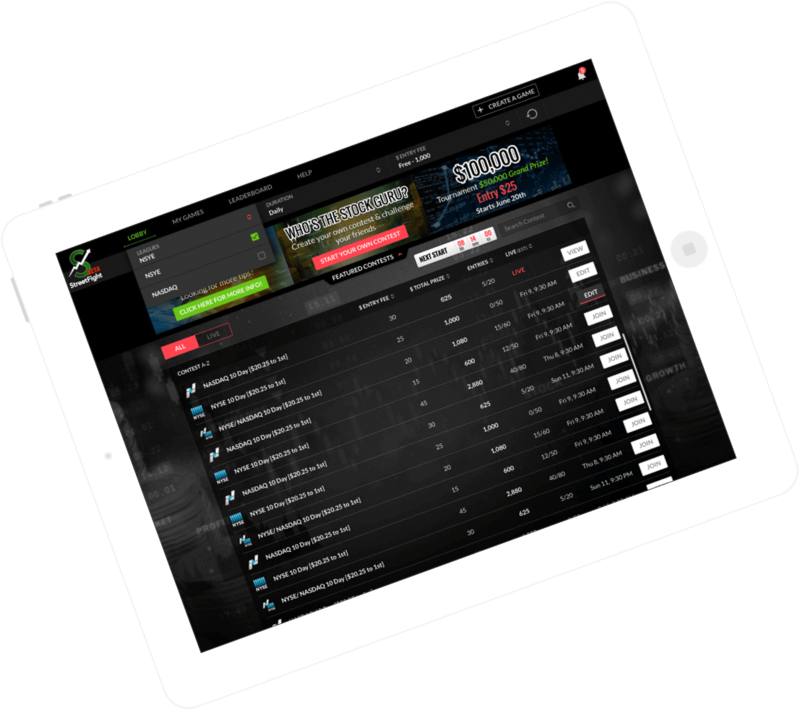 Vinfotech is a world leader in creating highly polished fantasy sports websites and mobile applications. 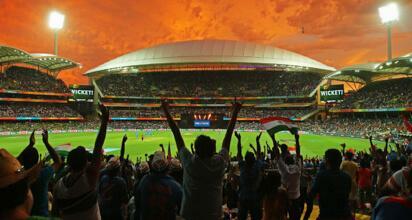 Our native apps support all sports and leagues. 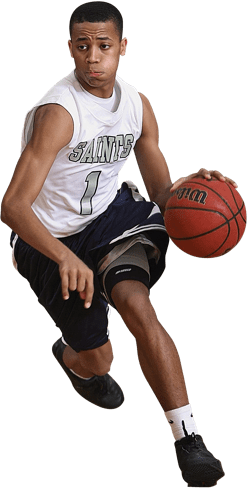 We have the experience and knowledge to approach traditional fantasy sports with fresh ideas that are eventually loved by millions of players. An app keeping fans in focus with unique features for league promotion and fan engagement. We are pushing the boundaries constantly by creating out-of-box fantasy sports solutions in industries other than sports. 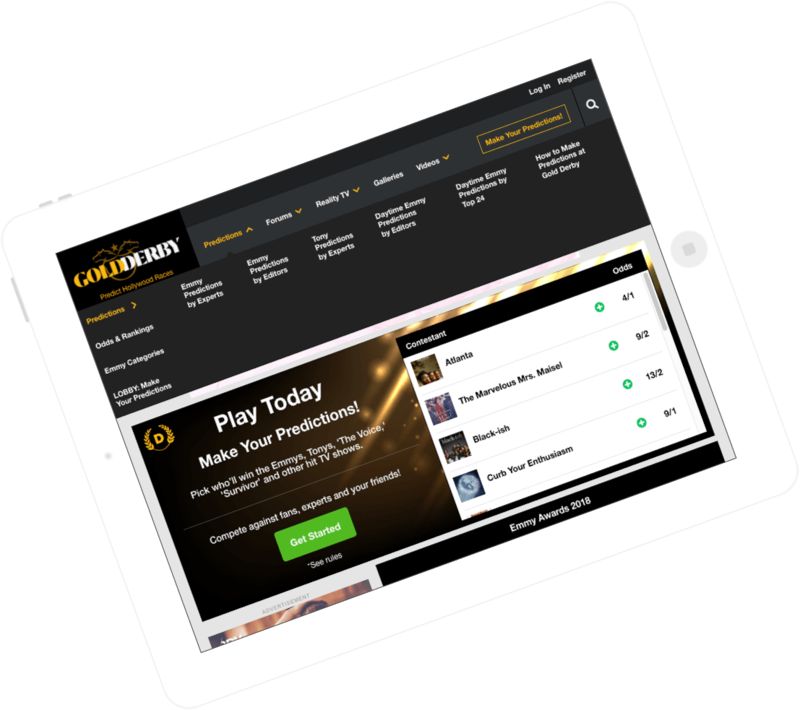 Our fantasy sports app developer have helped several brands in industries such as politics, music, movies, stocks, eSports in a never-before-seen branding on fantasy gamified apps. We can engage your target audience and we know a thing or two about branding. 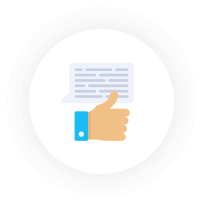 We can build engaging fantasy apps for your sales teams or your employees; for teenagers or senior citizens; for a niche community or a specific set of experts. Do you fancy creating platforms like DotA 2 and League of Legends? The eSports market touched 134 million viewers by the end of 2015. We have the infrastructure and the experience to create competitive fantasy software for eSports leagues like Counter-Strike GO or League of Legends etc. or series like Halo Championship Series, Capcom Cup, Call of Duty World League etc. Build a fantasy league around a popular TV show and experience a whole new user evolution. Leverage billions of fans that follow specific TV shows and create a winning business. There was never a better time to create killer daily fantasy tv/award shows app or a season long fantasy tv/award shows app. We have created fantasy software for popular shows like Game of Thrones, Big Brother, American Idol, America’s got talent, Fear factor, Masterchef Australia. Politics is no less thrilling when it comes to creating a fantasy sports platform around it. American, European and Asian demographics follow a certain kind of electoral system in terms of selecting candidates for Presidentship. There can actually be daily fantasy games as well as season-long games that can be designed around Assembly elections. Even famous proposed bills and laws that are awaiting votes can be converted into engaging fantasy games. 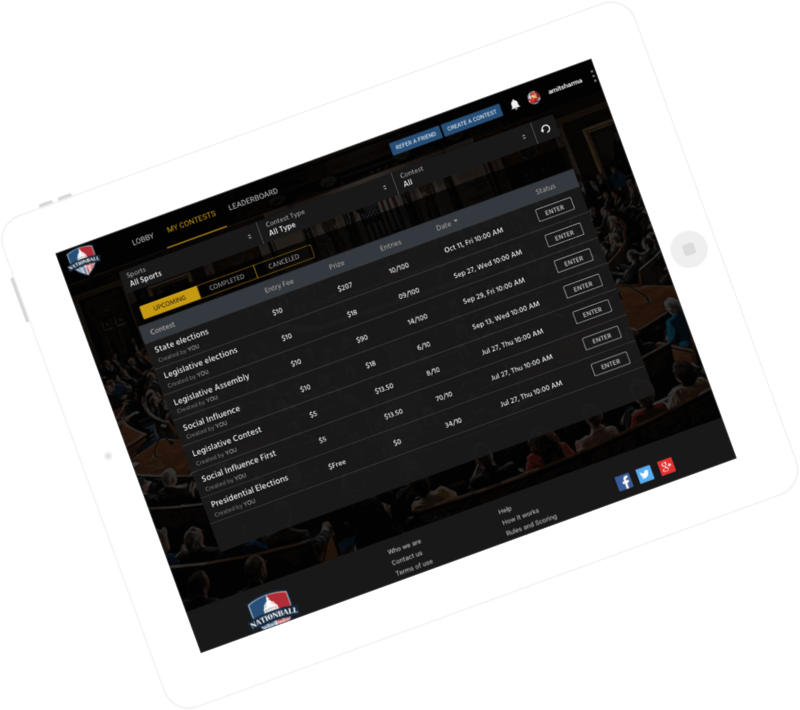 Vinfotech recently created Nationball – a fantasy sports around American political system. The ups and downs of stock market are perfect content drivers for a thrilling fantasy sports platform. You can pioneer a whole new business model in your region. Stock market updates are often given to political changes and even weather. 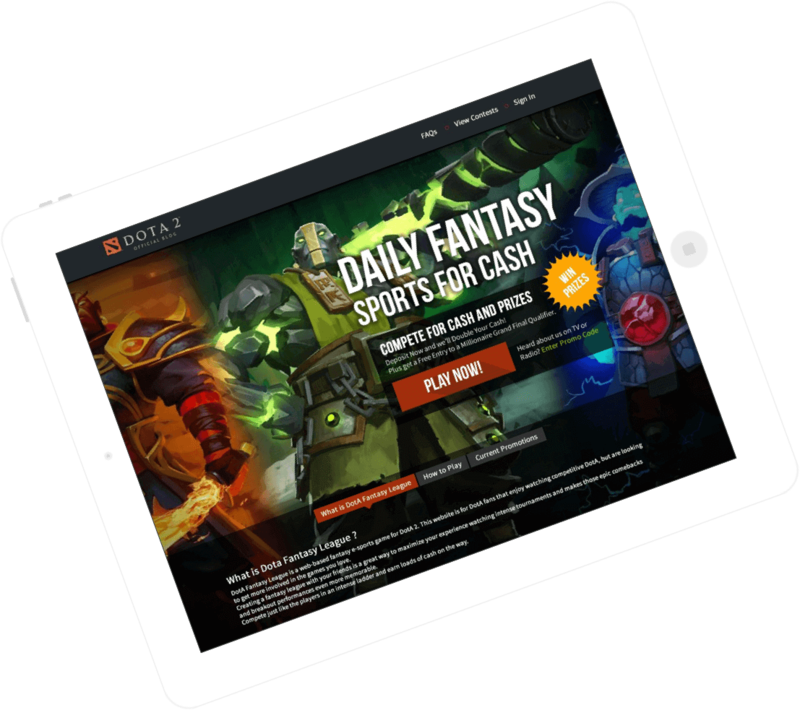 Daily fantasy games built around stock markets can help players increase their knowledge of stocks. This is a market that’s waiting to expand because millennials are becoming more investment-conscious and are seeking ways to become empowered about stock investments. 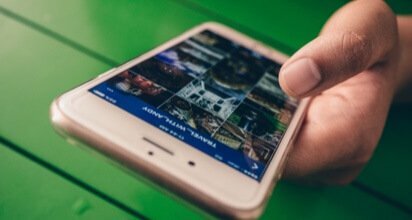 Are you a brand looking to engage your target audience in a unique way? Stop investing all your money in sports sponsorship. Start using half of that money into creating a fantasy sports platform. Engage your consumers indefinitely. We can create beautiful platforms to engage your most loyal consumers who would in turn bring more consumers. This is a new way to get the marketing ROI as well as a strong brand recall value. 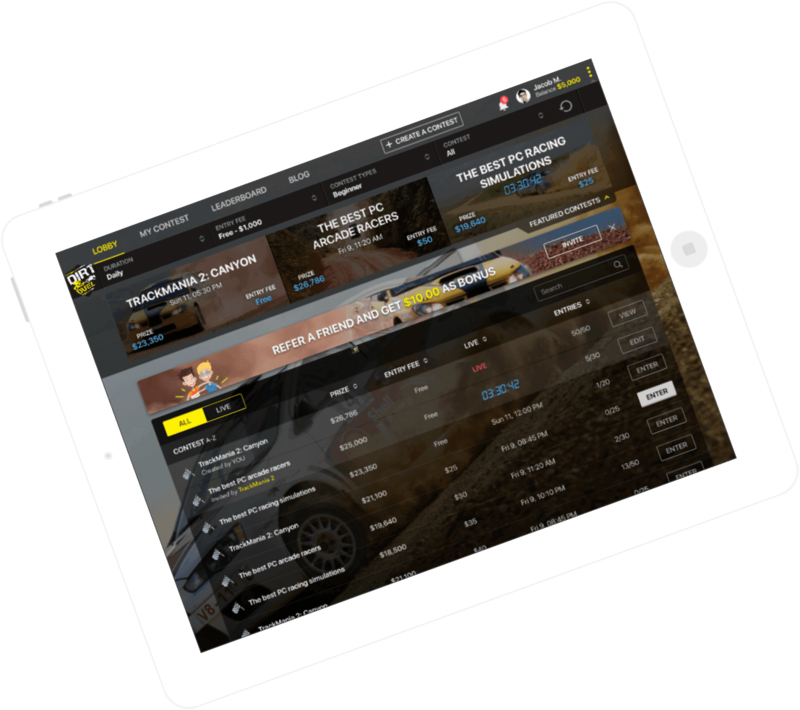 Dirt Duel is a dirt car racing fantasy platform for car racers and fans. Vinfotech was hired to create this unique fantasy dirt car racing platform focused on American dirt racing championships. Dirt car racing is a popular sport in the US played by millions of people. There’s also a large demographic of people who love to play the online fantasy version of dirt racing. Dirt Duel caters to this demographic along with the actual dirt racers who wish to improve their real-world game. Your companions through the entire journey. We will help you take the first step confidently. As members of global regulatory bodies, we KNOW what it takes for a promising, cutting-edge fantasy sports app development. We are invited to share knowledge on various fantasy sports fests every year. We build credible partnerships with companies that help operate a fantasy sports business. We don’t design for art. We design for users. Our fantasy sports apps are dopamine for your millennial and Gen-Z users. Our gaming platform comes with cutting edge performance and massive scalability. It can handle millions of users. We work on block chain technology that ensures your platform is solid. We are into the industry for almost eight years. We are aware of the rules and laws across continents. 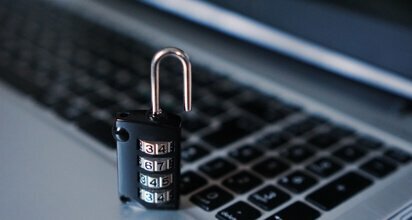 We build products that are legal and credible. Our team is full of sports enthusiasts who are not only fantasy sports app developers but also user engagement specialists.